Seattle Parks and Recreation and the Associated Recreation Council are excited to introduce SurvivorQuest Summer Youth Camp, making its debut this summer. This camp introduces youth ages 12-15 to wilderness survival, backpacking skills, first aid, environmental science, and more. In an effort to individualize education, campers are given the opportunity to build some of the SurvivorQuest curriculum. On the first day of each five-day session, campers and counselors will plan the week’s activities together to incorporate campers’ goals into the planned survival and environmental learning objectives. Not only will they learn survival skills and environmental science, but they will get to choose outdoor skills to focus on for the week. Another component of this camp is that six of the eight sessions of SurvivorQuest include Camp Long’s 4-H Challenge Course and the famous Schurman Rock for facilitated rock climbing. If you’re not familiar with the history of Schurman Rock, this video is a great place to start. Camp Long’s Challenge Course facilitators follow the principles of Experiential Education, with heavy focus on team-building, communication, decision-making, and accountability. SurvivorQuest starts the week of July 2nd and runs for eight weeks. Each session lasts five days, Monday through Friday. The camp is held at Camp Long for all five days, except for the weeks of July 16th and 23rd. For those two weeks, campers will only spend Monday at Camp Long for the challenge course before spending the rest of the week at Lincoln Park. Sessions cost $325, with scholarships and sibling discounts available. Your teen can pioneer this one-of-a-kind camp experience and outfit themselves with skills they can use for camping, climbing, environmental stewardship, and even the inhospitable wilds of high school hallways. For more information or to register your teen, call Camp Long at 206-684-7434. Seattle Parks and Recreation invites youth ages 11-13 to summer Adventure Camps at Camp Long Environmental Learning Center. These camps expose kids to fun outdoor activities, environmental topics, leadership skills and team development. Participants will take day trips to try out different outdoor activities like kayaking, rock climbing and hiking. No experience is necessary. Parents are asked to call or email the camp director when they turn in their registration packet to Camp long (541-286-0169; seth.wendzel@seattle.gov). Seattle Parks and Recreation, in cooperation with USA Football, invites children ages 8-15 to participate in a free football camp with New England Patriots wide receiver Brandon Gibson June 25-26 at Rainier Playfield. The Brandon Gibson Football Frenzy camp will be held from 9 a.m. – 1 p.m. both days. Campers will participate in games and drills to improve their football knowledge and skill. Each child will receive a t-shirt and lunch will be provided on June 26. 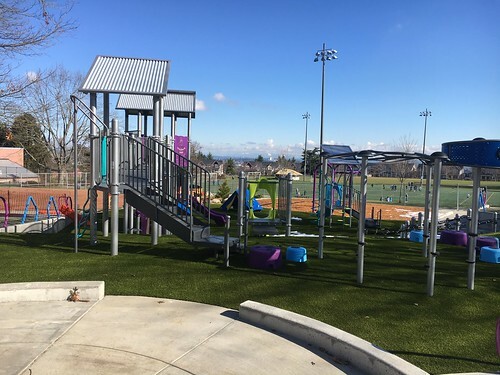 Rainier Playfield is located at 3700 S. Alaska St. Pre-registration for the camp is required. To register, visit https://class.seattle.gov/parks/Start/Start.asp and use course code 129046. Participants must also register with USA Football at https://fundamentals2015.ezwaiver.com/Brandon-Gibson-Football-Frenzy . Award-winning author Richard Louv coined the term “nature-deficit disorder” for children who are spending less time outdoors resulting in a wide range of negative physical, mental and emotional consequences. Seattle Parks and Recreation’s Camp Long NatureQuest Summer Day Camp in West Seattle has just the “cure” for this disturbing trend: fun and educational day camp in the great outdoors. Wonder what’s a watershed? Come discover the Longfellow Creek Watershed and follow the creek through magical places like the Salmon Bone Bridge and the Dragonfly Pavilion. Learn how land and water shape each other, observe creek wildlife and build a watershed model. We’ll also hold a Science Council to make decisions about an imaginary watershed, while exploring the many ways humans affect our watersheds. Search for life between the tides and discover how plants and animals have adapted to such changing conditions. Set up a beach science station where you can examine animals in their unique habitat. Learn how sea stars move, how clams and barnacles eat, and much more about the critters you find above and below the rocks, sand and water. It is a jungle out there and worth investigating! Seattle is one of the Top 10 Cities for Urban Forests. Become a scientist and explore this urban wilderness in the Camp Long woods. Unearth the forest’s secrets and learn how hawks, owls, coyotes, fox and a multitude of songbirds live here. In every layer you’ll find clues. Identify native plant species that have grown here for centuries and investigate the role forests have in human survival. Learn how you can be involved in forest protection. What makes Schmitz forest special are some very old trees still standing. Wander through this native ecosystem and gather clues as to how everything is connected. Explore huge old tree stumps and see evidence of logging from years ago. The natural and human history of Seattle is rich and diverse. From glaciers to Native Americans to European settlers, this area has a lot to tell. How did Puget Sound form? Where and how did Northwest Coast Indians live? And what major changes have occurred through the centuries? Take a treasure hunt around West Seattle to find your answers to these questions and more. Birds live in every habitat – forest, desert, fresh and salt water, icy, tropical – you name it, they are everywhere. Get to know the avian life all around us and gain skill at observing and identifying the numerous birds of Seattle. Learn using sight and sound, as well as watching behavior, how these adaptive creatures have survived and ways that we can support them. Binoculars are provided. Learn the ways of a watershed as described above, but explore a different section of Longfellow Creek. Journey through restored areas of the creek and discover the wildlife that has also altered it. See beaver dams and study beaver ways to appreciate their unique impact on land and water. Could you survive a night in the forest? Create a shelter, build a safe fire and cook outdoors? Do all that and more in learning the art of nature survival. Gain skills at identifying edible plants and berries and which plants to avoid. Build confidence and ability to become most secure in a forest setting. Are you searching for a summer camp for your child but you’re not sure where to start? Come to the inaugural summer camp fair at Magnuson Park! 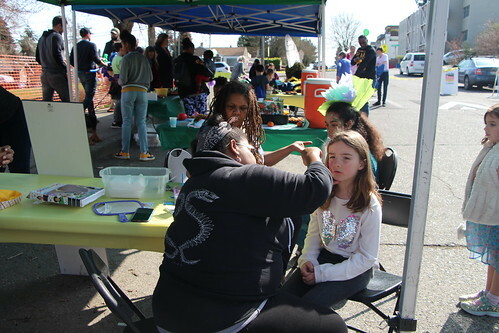 From 5 to 8 p.m. on Tuesday, March 4, 2014, Seattle Parks and Recreation will host a camp fair located in the Matthews Beach Room of The Brig at Magnuson Park, 6344 NE 74th St.
Bring the entire family and discover the broad range of activities planned for this summer. You’ll find camps for preschoolers to teens with themes ranging from team sports, theatre, science/engineering, reading, nature, outdoor skills, fishing and environmental restoration. This is an occasion to talk with camp directors and ask questions about the summer programs. Many camps fill up quickly, so this is an opportunity to get a head start. Summer 2013 was a great season for camps at Magnuson Park. Each week there were at least a dozen camps hosting more than 630 campers! 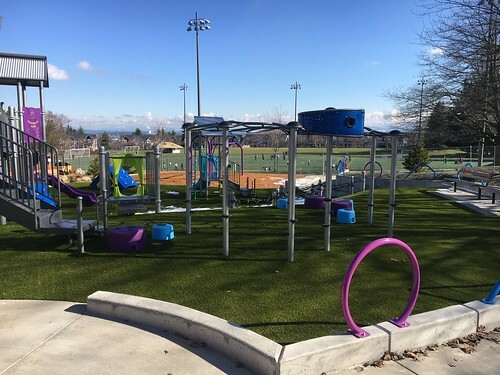 This year the confirmed camps are Magnuson Nature Programs, YMCA Summer Camps, Outdoors for All, Magnuson Community Center, Seattle Audubon Nature Camp, Skyhawks, Sail Sand Point and Cascade Bicycle Club. For more information on Magnuson Park please visit http://www.seattle.gov/parks/Magnuson/. On Tuesday, Feb. 4, 2014 at noon Seattle Parks and Recreation will open for Day Camp and Activity Camp registration. 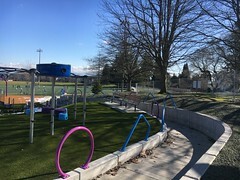 Seattle Parks and Recreation offers a wide variety of camps including Nature Camps, Preschool Camps, Tween Camps, Sports Camps, Arts Camps, and more. New this year families may register for Day Camp and an Activity Camp in the same week. Activity Camps include sports, arts, and nature. These are non-licensed camp programs offered throughout Seattle. Day Camps are licensed camps for children kindergarten through fifth grade. Participants will be put into age-appropriate groups to better meet the needs of the child. Families may register children for a timeframe of one to 10 weeks. Stop by your local community center to register for programs and meet the staff. Take a peek at the recreation center and the program space. Community Center staff welcome face to face interaction. 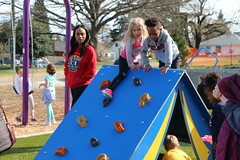 Please check center hours at http://www.seattle.gov/parks/centers.asp as most community centers hours of operation have been reduced in the 2013/14 budget process. Register online by using the SPARC system. Visit seattle.gov/parks and click on SPARC. Please note that an account must be set up prior to having access to the online SPARC system. This may take up to a week to process. We do our best to set up accounts for registration within 48 hours. Register with our Business Service Center at 206-684-5177. The Business Service Center is open for service Monday through Friday between 8:30 a.m. and 6 p.m. For additional information please email ParksBSC@seattle.gov. Mail in or drop off registration requests with payments and required forms to your local community center. The camps fill up quickly and Seattle Parks recommends registering early. A $15 deposit is required at time of registration with the balance due two weeks before the camp begins. Participation is contingent upon full payment and submittal of the appropriate registration forms two weeks prior to the start of camp. Online registration ends two weeks prior to the first day of each camp, but in-person registration will be available until all spots are filled. 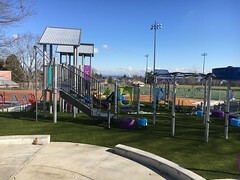 For more information and the appropriate forms visit https://www.seattle.gov/parks/camps/ or call your community center. Alki Bathhouse is buzzing with kid-focused activities this summer. Many classes still have openings. This is an introduction to clay basics. Experiment with textures, shapes and colors while learning to sculpt animals, cups, and more. Materials are included in the course fee. This class is taught on Mondays, from 4 – 5 p.m., beginning Aug. 9 and continuing until Sept. 13. The activity fee is $85. Focus on self-expression through poetry, storytelling, painting, and collage for a memorable experience to cherish forever. A supply list is provided upon registration. This class is taught Aug. 9 – 12, from 9 a.m. to noon. The activity fee is $140. Kids learn the basics of hand-building, then get creative making clay masks, animals, portraits, frames, vases, and toys. Materials are included in the course fee. This class is taught Aug. 16 – 20, from 9 a.m. to 12 noon. The activity fee is $160. Transform a plain box into a unique work of art that holds your wishes, dreams and treasures. Most materials are provided in the activity fee. Students bring photos, quotes, or memorabilia to personalize. This class is even more fun when taken with a friend or family member. This course is taught Tuesday, Aug. 17, from 1 – 4 p.m. The activity fee is $19. 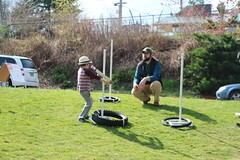 Sign up online at www.seattle.gov/parks or call Alki Community Center at 206–684–7430. The Alki Bathhouse is located at 2701 Alki Ave. SW.